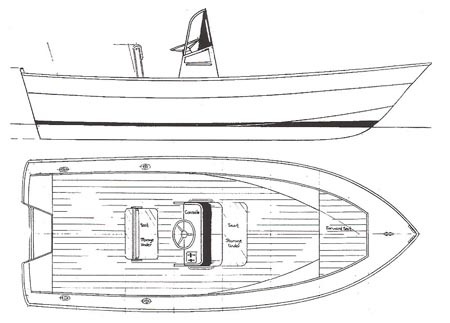 SHOESTRING was designed for Gary Clements of GFC Boats who wanted a good performing power boat without all the expense of showroom models. 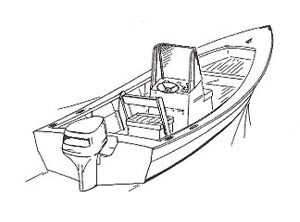 Numerous variations are suggested including: bowrider, runabout, and cabin models. 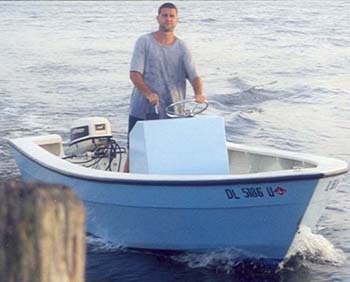 Features include: striking appearance, Vee hull for good performance in a chop, and easy construction. Construction is tack and tape 1/2" bottom and 3/8" sides over straight frames. Epoxy is used throughout. Plans include: materials, lines, construction, and frame patterns. No lofting is required. Estimated cost for quality construction materials (not including power) is $6000. This cost includes a high level of outfit and finish you can be proud of after putting the effort into building this fine boat. Purchase and Download Study Plans for the SHOESTRING for $5.00 in PDF format (zipped file). Purchase Construction Plans for the SHOESTRING for $75.00 for delivery by US Postal Service.